There are two ways to give the gift of vintage beer! 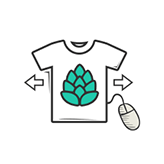 If you have the recipient’s shirt size, mailing and email addresses, we make it easy to set up a gift membership for them! If you don't have all of the recipient's information or want to let them create their own membership, our gift certificate is for you! Rush order? Complicated gift situation? Give us a call or send us an email. Womens tanks also available. Change style when you checkout. 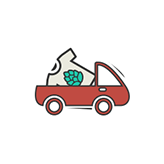 Any additional charges must be covered by the individual redeeming the certificate. Gift certificates can be applied to any membership. Ex: a 3 Month gift certificate ($72) can be applied to a 6 Month membership and the user will receive $72 off their order. Ex2: A 6 Month gift certificate ($138) can be applied to a 3 Month membership ($72) and the user would receive a credit for $66 in their account which may be used for future purchases. Gift certificates are transferable and have no expiration date. Gift certificates have no cash value and can only be redeemed at vintagebeershirtclub.com. 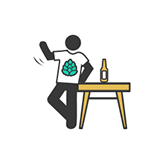 Your 1st authentic vintage beer shirt arrives within 10 business days. Wear It! When drinking beer or thinking about drinking beer. 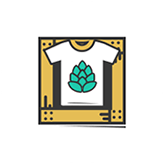 each month, YOU’LL RECEIVE A COOL SHIRT FROM A HISTORICAL BREWERY OF YEARS GONE BY.